Tis the season for floppy, over-sized sweaters, jogging pants and silly slippers that keep your feet warm and stinky! The leaves on the trees are colours that only nature can provide. I feel like I’m walking into a rainbow each time I step outside. It smells like wet dirt and new life even though many plants are, in fact, beginning to bend into quieted hibernation for the winter. All I want to do is eat bread and watch movies. At the moment, I’m watching ‘Julie & Julia’, one of my favourite fall-time films. It feeds my hunger for food, butter (‘you can never have too much butter!’), and Paris. 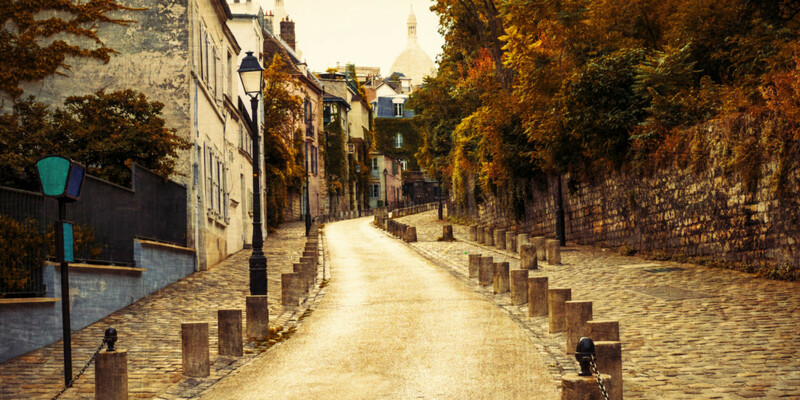 Oh, to be in Paris in the fall! I’ve never been, at least not in this lifetime, and I yearn for it like I’ve lived there before and need, need, need to get back there to breathe better. One of the characters in Julie and Julia, the ‘writer’ Julie, makes my love for food and blogging go a bit birzerk. Hence, me giving in to my desire to write this blog right now! Who’s out there? Who’s reading?! Do you want to go to Paris in the fall with me?! I googled ‘How to make a croissant’ – yeah. It’s a long process. One that I am not prepared to do today, but soon. I love croissants, and what is more French than a warm croissant crumbling off your lips? Well, only being in Paris to eat it! Oui, oui! What are some of your fall film favourites? Here’s a list of mine…some of them slide into my holiday favourite film list too! I’m sure there are more…but this is what my brain is offering in this moment. Currently, I’m reading Stephen King’s End of Watch. So far so good, as usual. My dear friend Mark Bacon’s new novel, Desert Kill Switch should arrive any day, and then I’ll dive into that. After these novels, I’m gonna need a love story. Any suggestions? What books are you reading? Do you love watching films in the fall too? This is the scene in my backyard this morning. The colours were alive and powerful. It made me feel warm and thankful. I’ve also been writing – a lot. Like by some miracle, there are fewer voices in my head, and one of the loudest voices is saying hunker down…write, read, rest. Simple. Kind. Succinct. And, I’m listening! I’m doing these things! I’m working on my second novel in the Hangman trilogy. It’s going very well. The characters are alive and generous. The words are slipping through my fingertips like melted butter over al dente noodles! I’m nearing and should succeed past 5,000 words for NaNoWriMo today. Yippee! I’ve created a spreadsheet that will hold the names of all the agents I query with ‘The Guesser’, my first completed novel in the Hangman series. I will be hard at work sending out queries this week. It makes me feel both vomitous and excited! I’m still reeling with joy from seeing/experiencing David Sedaris at the Detroit Opera House. My apologies if any of the sentences offended you. In any case, I’m inspired by him and it’s helping me write every day. Well then…must get to it! Happy leaves! Happy colours! Happy Monday! I’ve always wanted to be one of those expat writers sitting in a cafe in Paris scribbling notes in a journal. At least for a little while.